We provide fast building lockout services in Allentown, Easton, and Bethlehem PA. The Lehigh Valley, especially Bethlehem PA, known as “The Steel City” of Eastern Pennsylvania. When you look around the streets of Bethlehem, you can see many buildings. No matter residential buildings and commercial buildings, they are many. The Lehigh Valley, in general, growing up fast with many new buildings, especially in Allentown, PA. For this reason, we cover building lockout service of all kind. 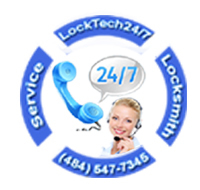 Here, at LockTech24/7, we cover all types of lockout services. This includes 24-7 emergency building lockout services. With this in mind, we’re available for you, day and night. This means whenever you lock yourself out of a building, we’re able to serve you fast and quickly. Call us when you need to unlock your building, whether it’s a commercial building of your job or a residential building of your living. We can unlock any building and can open any door in a short time frame. We’re ready for your call. An apartments building is usually a huge building. Many apartment buildings have many doors. When you see an apartment building, you can’t imagine how many doors there are in the building. Given these points attention, there are over than 250,000 lockout incidents in the U.S. This includes residential building lockout. 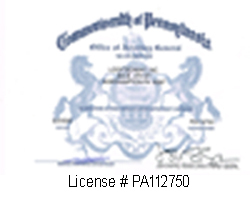 Call us whenever you need a lockout expert in Bethlehem, Allentown, and Easton PA. In an average residential building, there are twelve apartments. This means anyone can lock himself out of his apartment, during the day. Believe it or not, but a few times we had two apartment lockout call from the same residential building. A residential building can also be a single house. In this case, we can also help you even faster. We don’t have to unlock also the main door of your building, but only the front door of your home. In addition, we don’t need to pass the security line of your apartment building front desk. If you’re locked out of your apartment, a residential building, or your house, please call us, as soon as possible. Door unlocking expert is only one phone call away. In the case of a commercial building lockout, it can be a little bit more complicated. Not just a commercial lock is harder to pick than a residential lock, but in the most commercial door, you also have a push bar installed. Yet, it must be remembered that we are able to unlock any commercial door. With this in mind, we also try to do our best to unlock your business as soon as possible. We know time is money, and when you’re locked out of your business, you can’t make money. Furthermore, you lose money paying for your employees while all of you locked out of the commercial building. We are ready to help you with any commercial lockout service, whether you’re locked out of your commercial building, or locked out of your file cabinet. Don’t hesitate to call us whenever you need a commercial building lockout service or any other commercial lockout service. Unlocking your doorknob is a piece of cake for our experienced lockout experts. Call us whether you need to unlock a residential doorknob or a commercial doorknob. Yes, it’s true that a deadbolt is harder to pick than a doorknob, yet we can unlock any deadbolt. LockTech24/7 lockout specialist is ready for your call. In a case of a lever lock, it can be a little bit harder than a doorknob or a deadbolt, especially a commercial lever. Yet, worry not! We can unlock any lever lock. You can find mortise lock either in a house or a business. A mortise lock is one of the most popular locks and we have the experience to unlock any mortise lock, in no time. Whether is a mortise lockset in your house or your business, we can help. You can also find Rim locks in houses and businesses. When you have a rim lock in your business, it usually comes with an exit device/push bar. We are able to unlock a rim lock, too. A rim lock opening in your business or house is our expertise. This is one of the hardest locks to unlock without a key, no matter residential or commercial. Yet, we can give it a try and in most cases, we are able to unlock the door for you. Call us now.